Summer is officially here! !👯👯Summer always flys by and I try to get in as many fun activities as possible! Here are some things I’m determined to make happen this Summer! 1. Roof Top Bars- What’s better than having a few drinks on a warm summer night?! I am hoping to check out some rooftop bars this summer! 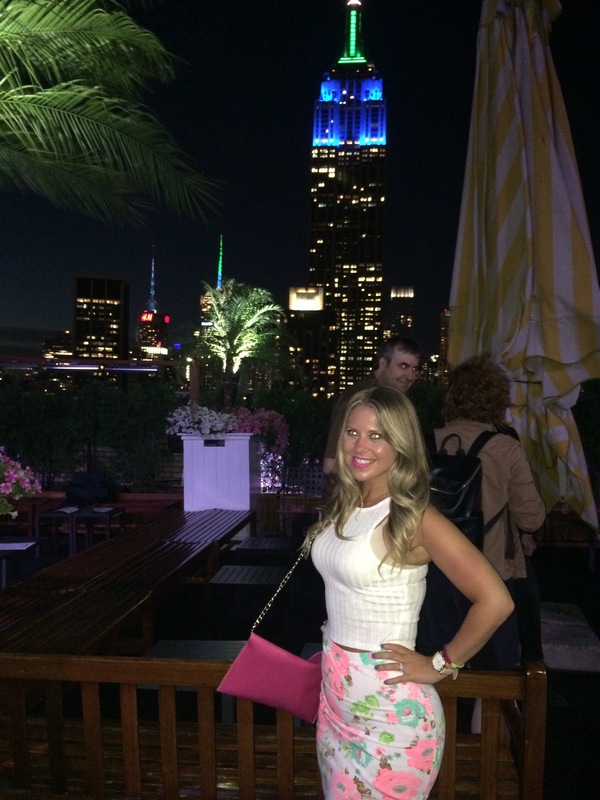 This is me in NYC at 230fifth rooftop Bar and Lounge. It has a gorgeous view and the drinks are super strong and yummy. Try. Pineapple coconut cocktail! (My fav)I am also looking to check out STK rooftop, and the Gansevoort! 2. Bike Riding in Governor’s Island- I recently watched Good Day New York with Greg Kelly and Rosanna Scotto. They did a segment where they were riding their bikes in Governor’s Island, and it made me want to check it out! Governors Island offers miles of car free biking. Bring your own bike or rent one from Blazing Saddles in Colonels Row. They offer Free Bike Mornings, borrow a free bike for up to one hour every Monday-Friday from 10 AM to noon. 3. State Fair at The Meadowlands- I love Fairs and Carnivals! I have been a thrill seeker since I was a child. I rode the cyclone with my dad when I was 4 years old! I have been saying every summer for years that I would attend this fair at the Meadowlands. Hopefully, this Summer I will make it happen! 4. Lounge in the pool with some cute floats. Donuts, swans, you name it I will lounge on it! They have really cute ones in Five and Below! 5. Run my first marathon! I recently started training for my first marathon. I never ran in my life and I’m not a fan of the treadmill. However, I have set a goal to run a marathon this Summer! Hopefully I’m prepared by August! What are some of the things on your summer BucketList?